Attorney Ian Reardon is a New Hampshire lawyer who provides legal services in the Lakes Region and throughout most of New Hampshire. Ian has offices in Jackson, NH to the north, and in Rye, NH, to the south. New Hampshire Divorce - One of Ian's main practice areas is family law and divorce. Not only is divorce a trying and emotional time for all of the parties involved, the rules and procedures can be extremely technical and unforgiving. Having a licensed New Hampshire attorney is a huge advantage. New Hampshire Trusts & Wills - Everyone should have a will. A will not only directs your debts and assets upon death, but can also be used as a health directive if you become gravely ill.
New Hampshire Small Business Law - One of Ian's favorite legal tasks is helping small businesses grow and prosper. From forming a corporation or limited liability company (LLC), to reviewing contracts and purchase orders, Ian can help your business grow. 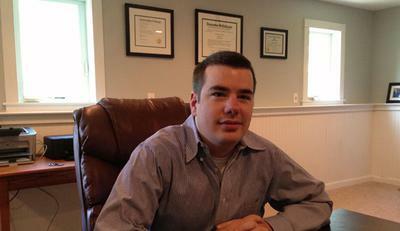 Contact New Hampshire Attorney Ian Reardon. Ian provides a free 30 minute consultation. Call Ian's office at 603-817-4139. Have used his services on numerous occasions. Use to deal with and I would trust him with anything law related. Join in and write your own page! It's easy to do. How? Simply click here to return to Local Business.